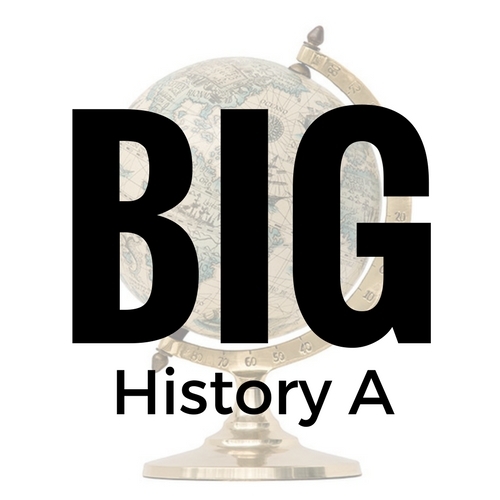 Big History, a high school social studies course covering 13.7 billion years of shared history, examines the Universe from the Big Bang to modernity, and explores common themes and patterns that can help us better understand people, civilizations and the world we live in. This semester (the first half of a two-semester course) covers the first 5 units of the Big History course, “Formations and Early Life”. Categories: Fall 2019, History/Social Science, Science/Computer Science, Teen Focus, Fall 2017, Fall 2018. Tag: Standard Semester. Big History, a high school social studies course covering 13.7 billion years of shared history, examines the Universe from the Big Bang to modernity, and explores common themes and patterns that can help us better understand people, civilizations and the world we live in. 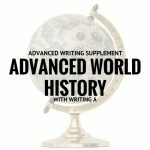 Unit 1: What Is Big History? The Big History course as a whole provides an overview of scientific concepts in an historic context, focusing on four major themes: “Thresholds of Increasing Complexity”, “Differing Scales in Space and Time”, “Claims Testing” and “Collective Learning”. Weekly webinars are 50 minutes long. Recordings are available for students who must miss a session. How Did our Views of the Universe Change? What Was the Young Earth Like? Why is Plate Tectonics Important? How Did Life Begin and Change? How Do Life & Earth Interact? Aimed at students ready for work appropriate to grades 9 through 12. 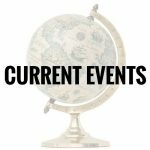 This is a high school social studies course open to students ages 12 and up who are prepared to encounter and discuss challenging science and history topics at a high school level. Most students report spending approximately 4 hours per week on homework outside of the webinar. No book purchases are required. Required materials for coursework (including videos and animations, texts, Project Based Learning (PBL) projects, infographics, comic strips, image galleries, investigations, and activities) are all available online for free. A History of US or equivalent middle school history recommended. Students must also be prepared to read and analyze challenging material at an upper high school level. Students must also be able to write multi-paragraph texts independently and participate actively in written discussion forums.